Cathedral Place. 925 West Georgia, Vancouver, BC. 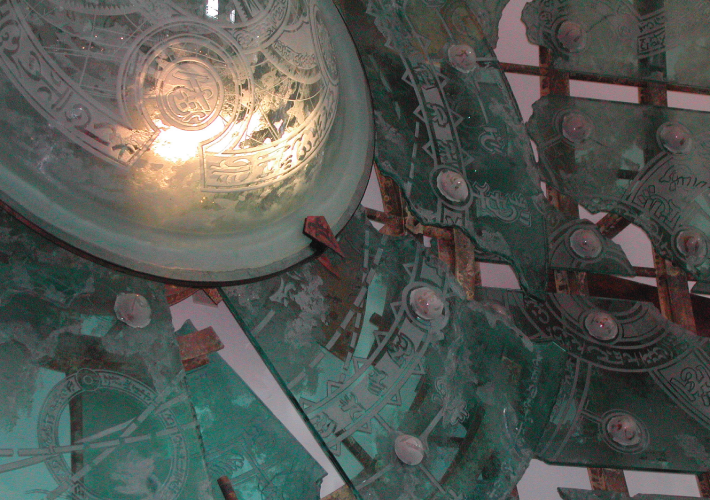 The largest sculpture in a series of over 100 original works by Robert Studer, called ‘Navigation, Origin Unknown’. 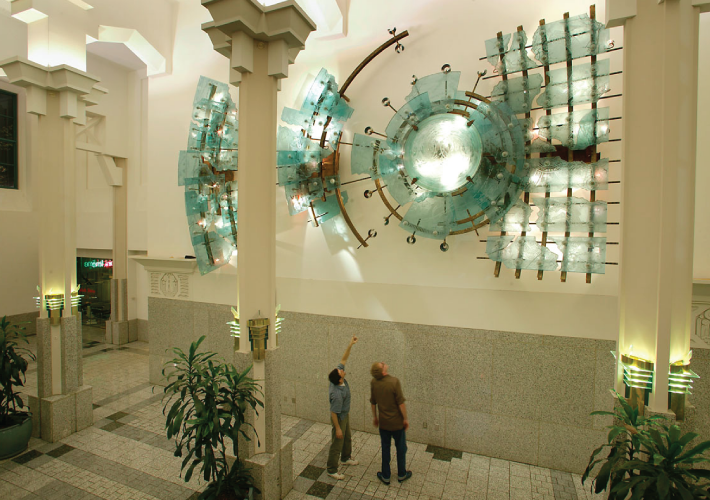 This illuminated glass and steel sculpture interprets all movement within the entry lobby of Cathedral Place into light and sound via motion sensors – a metaphor regarding humanity’s relationship with technology.